Stock Low : 410 items left. A perfect statement-making piece for little dinosaur fans this printed harem pant is perfect for year-round wear. 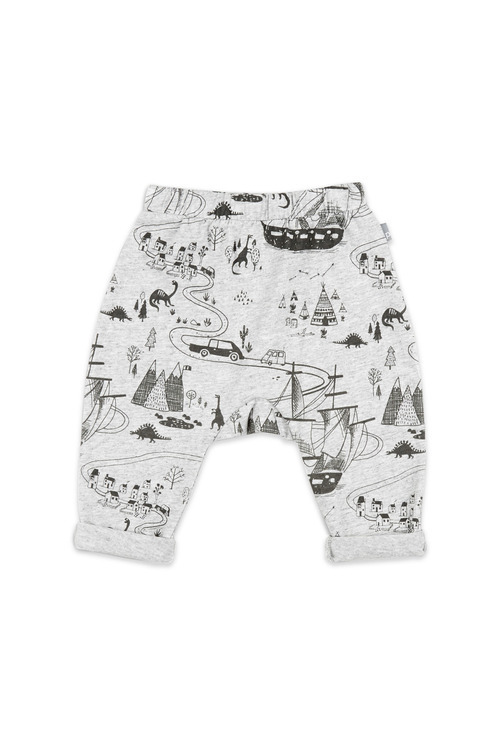 Crafted from 100% cotton jersey fabric with whimsical prints of dinosaurs and time travel your little one will be fashionably ready for his everyday adventures.